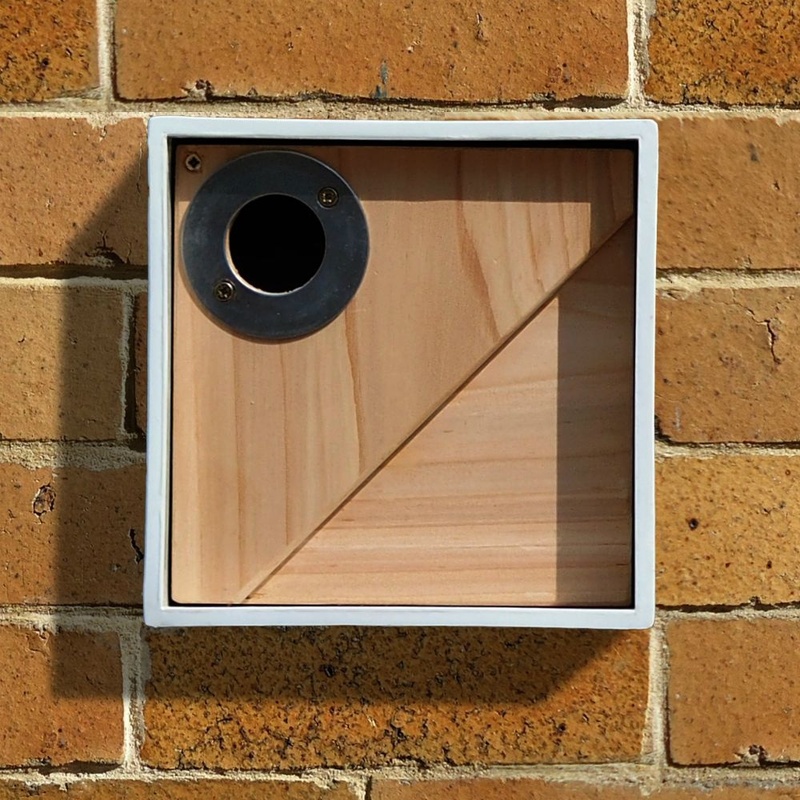 This nest box has a contemporary design and is suitable for small garden birds. 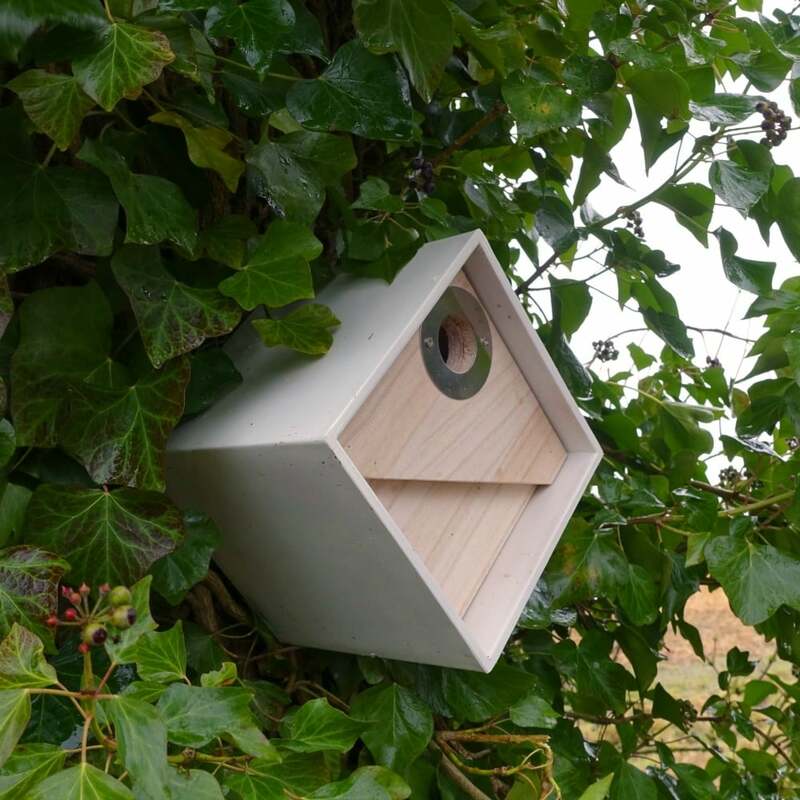 The outer shell of the nest box is made from Clayplas+ which is a composite material of clay and recycled plastics. This material is very durable and also has great environmental credentials due to the recycled element. 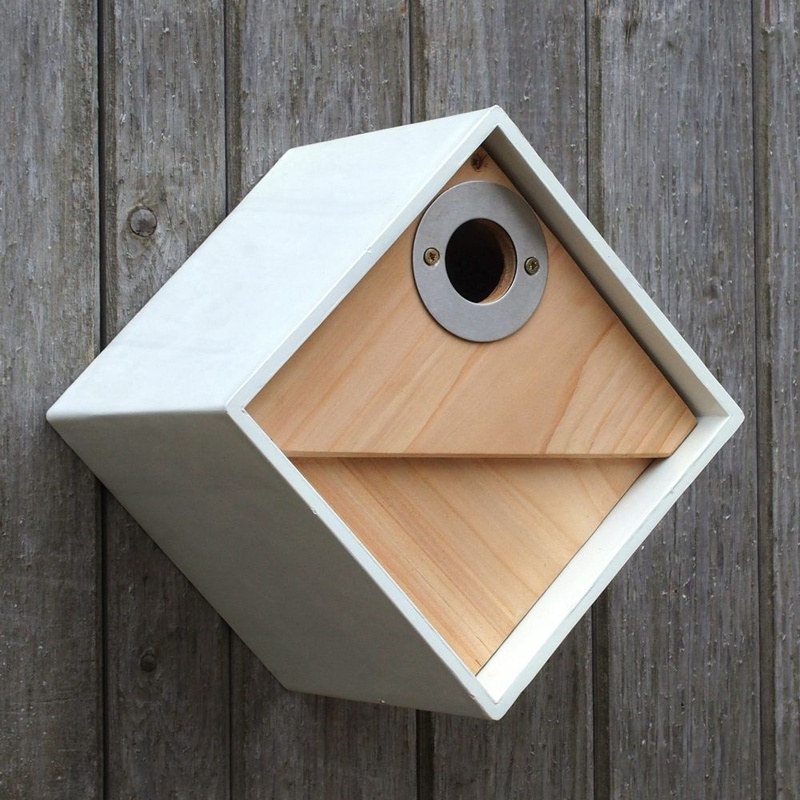 Each outer shell has dual keyhole hanging points to allow the nest box to be hung square on or as a diamond shape. The interior of the nest box is made from natural FSC timber, which is great for warmth and breathability. This inner wooden bird box may be removed and has a sliding panel at the rear for access and cleaning. The nest box entrance hole is protected with a crisp stainless steel 32mm hole protector.